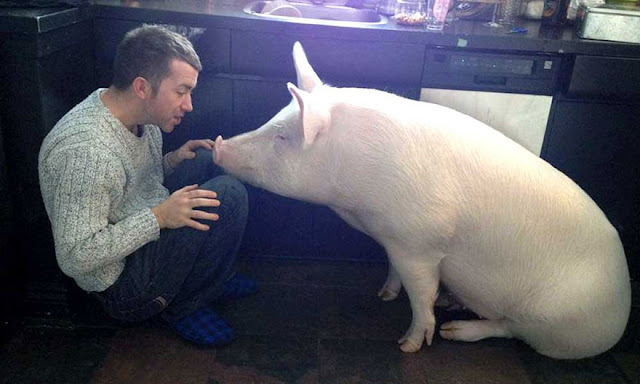 Steve Jenkins and Derek Walter, a Canadian Couple wanted to adopt a Pygmy Piglet, a swine breed that doesn't grow big. 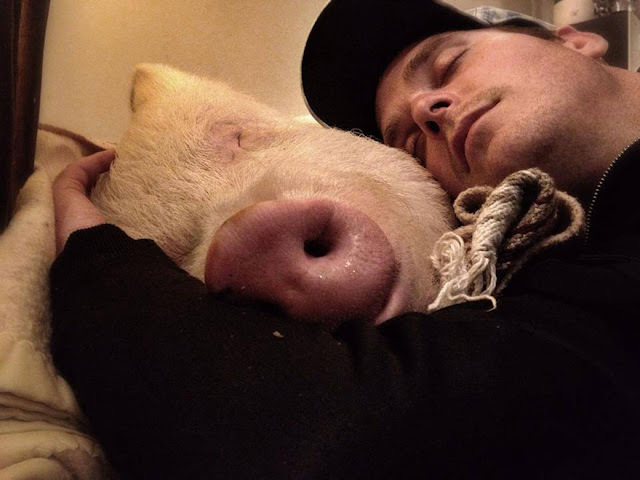 That is the main reason why they decided to adopt Esther but apart from their knowledge, Esther after 2 years, matured into a 670 lbs full-grown commercial pig. 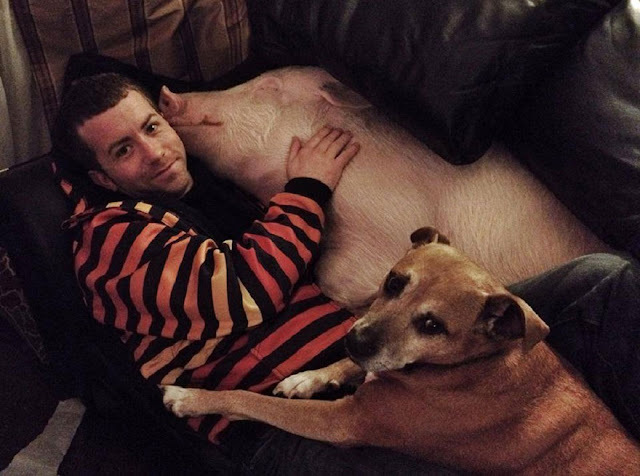 Although Esther wasn't the pet they were expecting, Steve and Derek still took care of Esther. 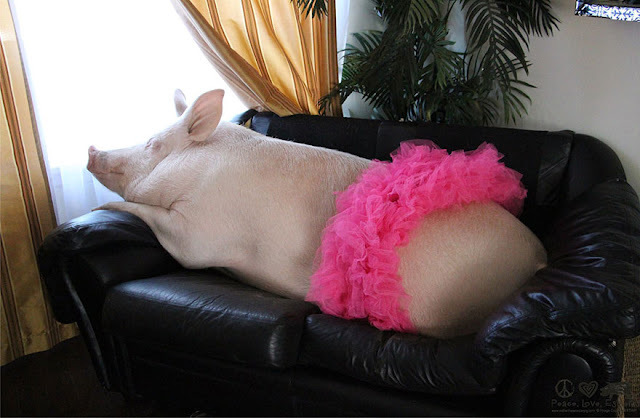 Esther was also intelligent and lovable that made the couple even more surprised. 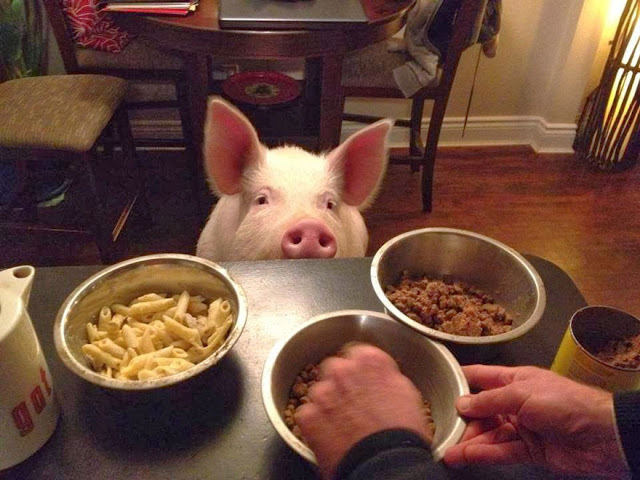 Since they adopted Esther, the couple also started to be vegetarians realizing that eating pork is not good for their health and they find it offensive thinking that their pet is also a pig. The couple also gave their time and efforts to building animal homes. 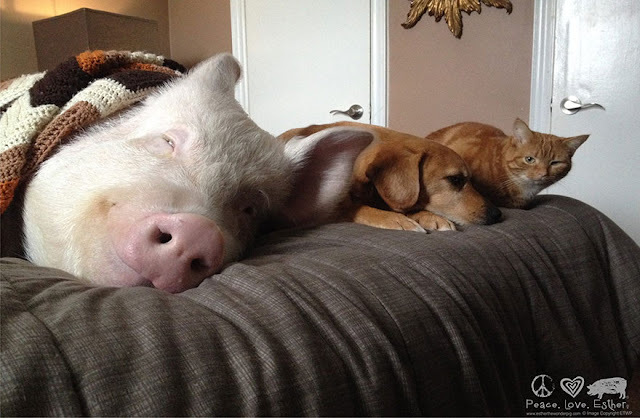 Their other family members, including their cat and dog, also loved Esther despite the difference of their species. 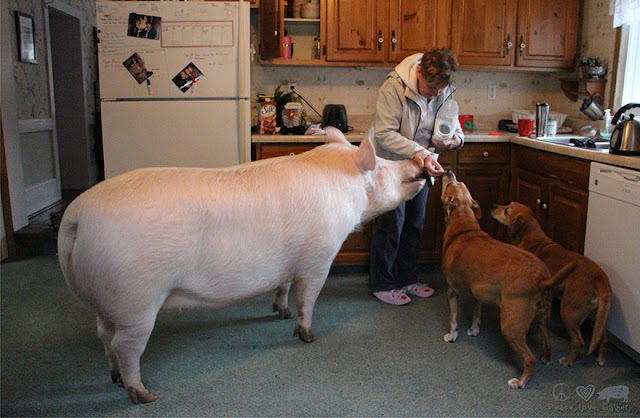 The couple admitted that raising a 670-pound pet is not easy and not for every pet lovers. 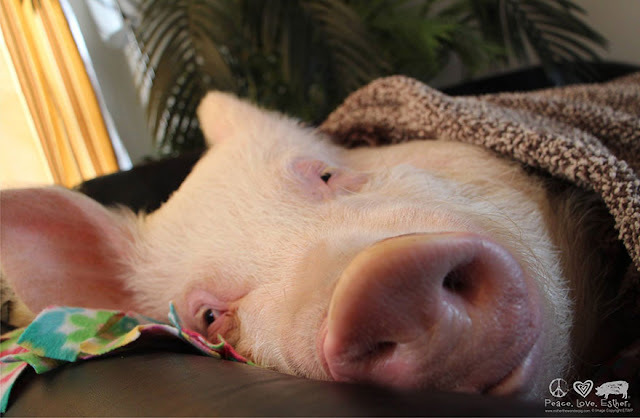 Sometimes it becomes tiring to the couple as Esther needs more attention. But they didn't stop taking care and loving their wonderful pet. 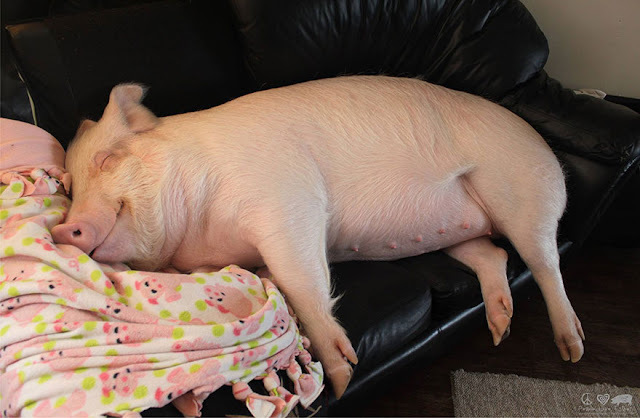 Undeniably, pigs, especially the breed of Ether needs a lot of food to sustain their daily nutritional requirements and for them to be healthy. It will surely cost her owners of more money spending on his food, vitamins, and other necessities especially their pet is not a typical kind of pet. Despite all of the costs and expenses, Esther has made a significant impact on this couple's lives, and surely it will also touch your hearts too! 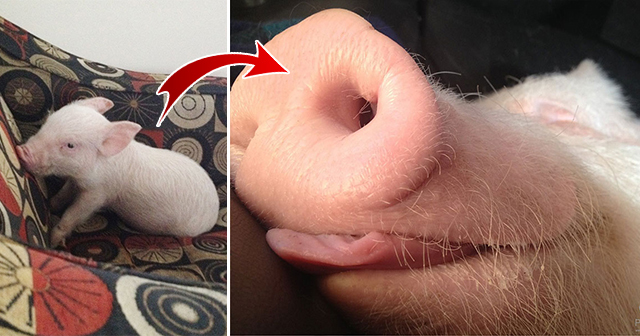 Pigs are commonly seen only as bacon, pork, and ham. Most of the time, they are mistreated believing they are just animals waiting to be killed and to be consumed by humans. 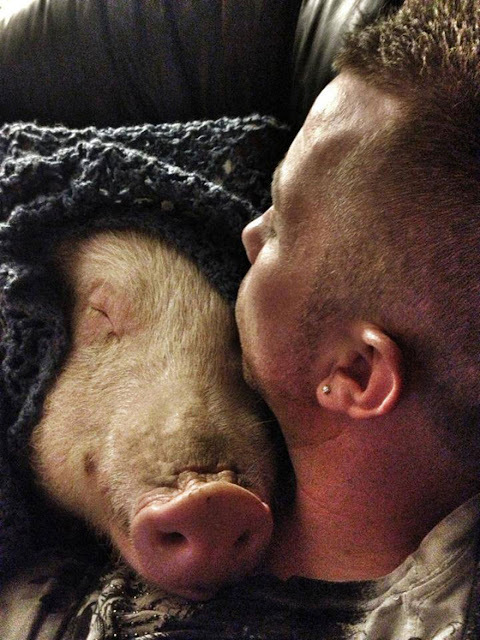 But same with humans and other animals, they also have feelings, and they also have the right to be loved and taken care equally just as the same with other pets. 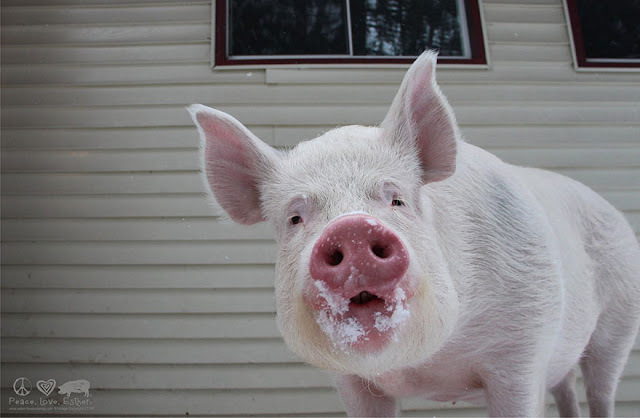 Based on studies, pigs are also intelligent and intellectually speaking, they are close to dolphins and apes regarding "mirror self-recognition test". 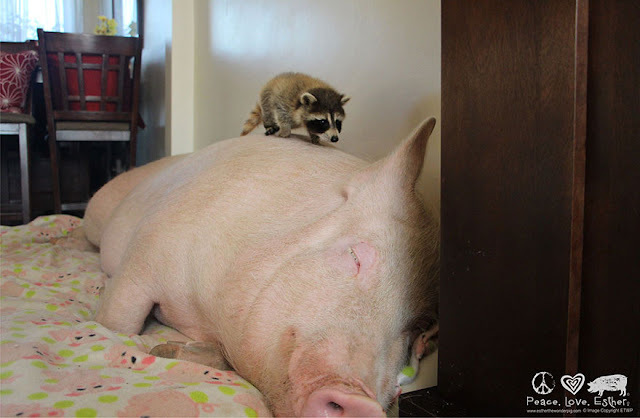 It is believed that pigs have advance intelligence and also possess high levels of safe-awareness.